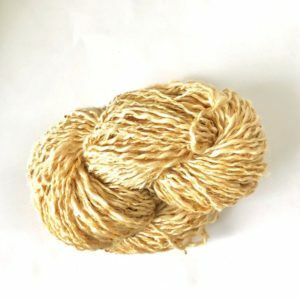 95gm of 100% beautiful hand spun silk and super soft merino. The colours are mouth wateringly beautiful. 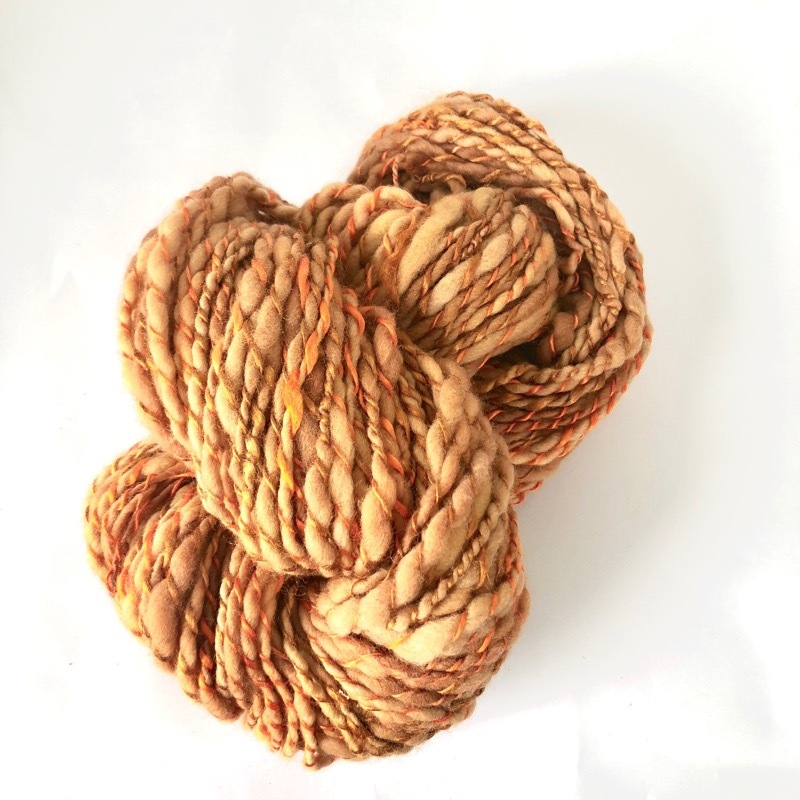 95gm of 100% beautiful hand spun silk and super soft merino. The colours are mouth wateringly beautiful. 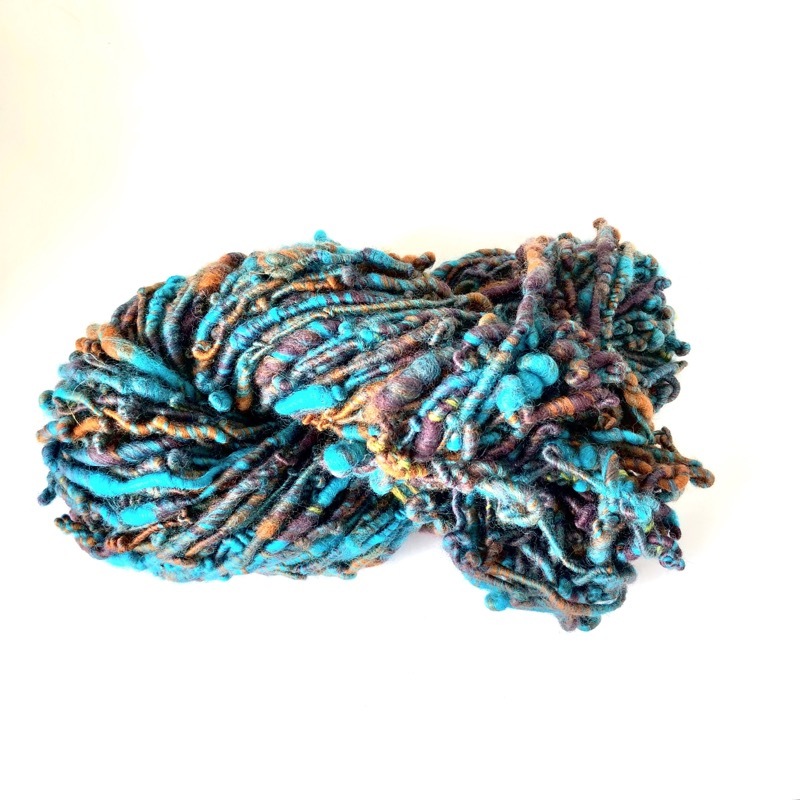 The colour of the silk is light blue gradually going into a rich dark blue with hints of white to make it come alive. 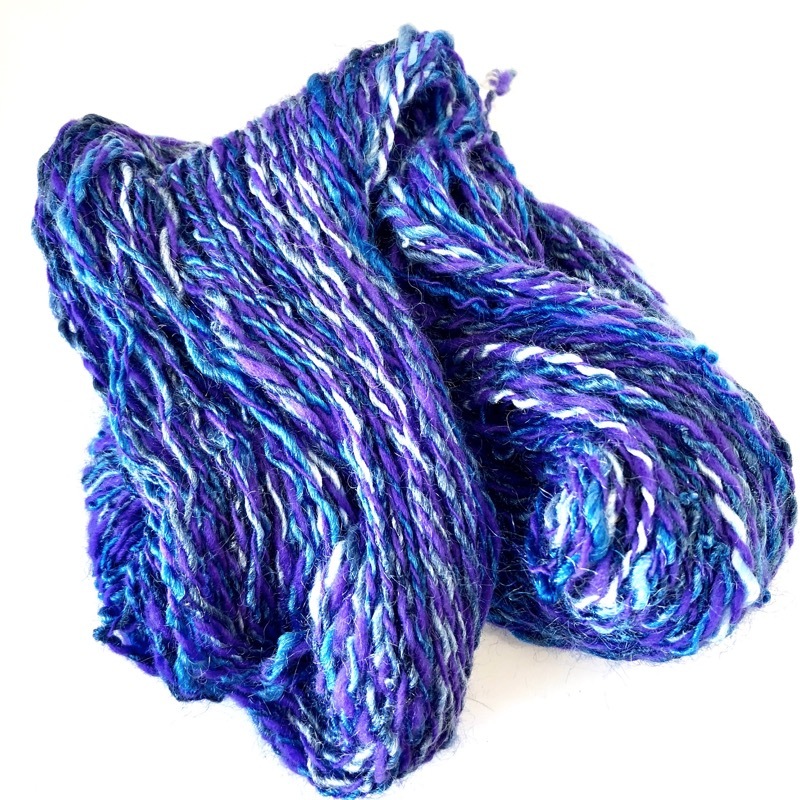 The beautiful soft merino is a rich vibrant purple and these toning’s together work beautifully. 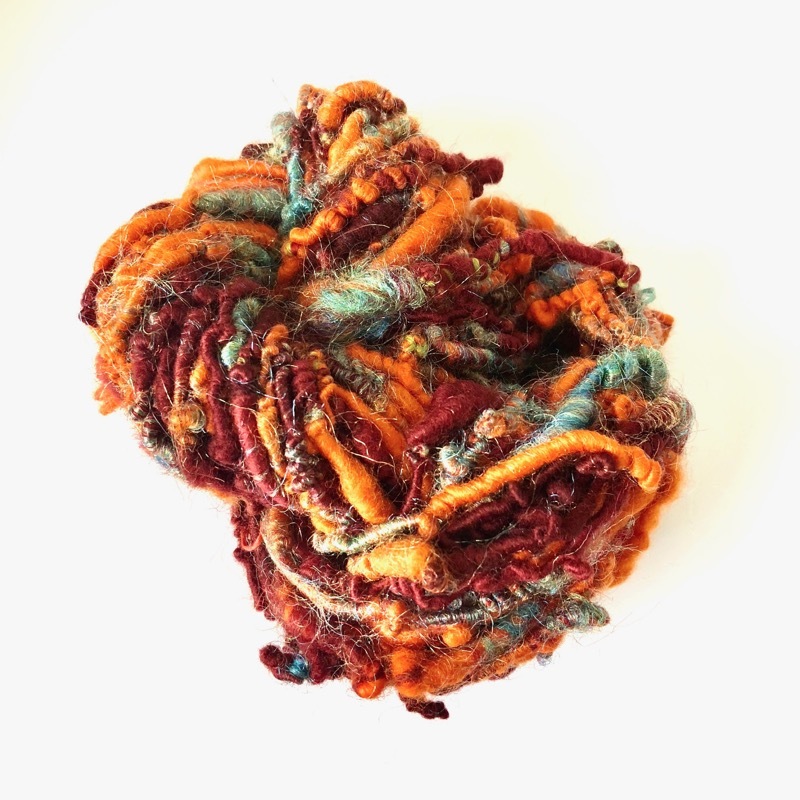 This hand spun will just make you happy, happy, happy.